It has long been a tradition with our school to have an international gathering during the time between Christmas and the first week of the new year. This year was going to be the 17th year, but due to the financial problems many countries suffer today, this year it was on a much smaller scale. Also since master Su has now his base in Taiwan, many studnets make their way there to train with master Su, in their own time. I had the opportunity to join one of these study groups last summer, together with two students from Japan. During this last trip I was able to practice with students from Mallorca, Venezuela and Japan. Master Su had divided the study groups into 2, in order to easier teach and practice one subject at one time. The subjects of study for the first part was the 8 lines of the Shen Chi Toh Ku Kong. A form of Chin Kong of the Pachi style. In these excercises one practices the stretching of muscles, tendons and joints, in order to work on the projections of the different kinds of energies found in the body. For the second part it was the 12 lines of Po An, or with their full name Shih Erh Lu Paian (Po An) Lien Shou. 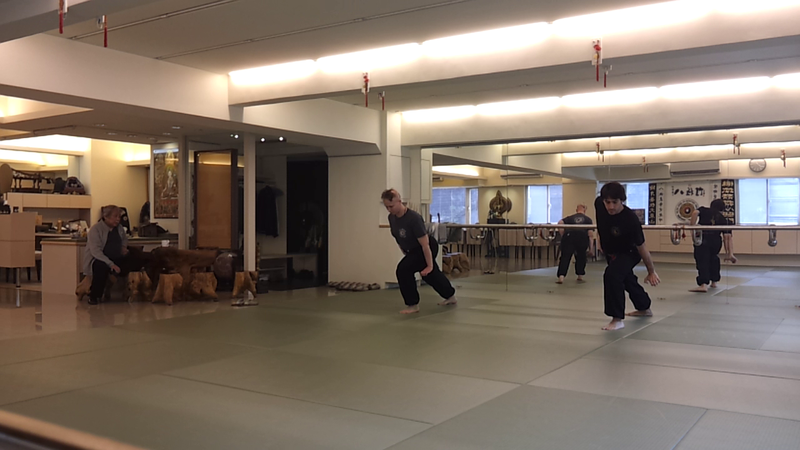 These are lines designed as partner drills, so that the students develop fighting skills, within the Tanglang Chuan style. There was no set schedule of practice, it was more of a "take things as they come" kind of mood to it all. This was only possible due to the fact that there was only one subject to be covered, during a one week time period, and that we were very few attending. Another thing to consider was that this time we had our own school, and did not have to consider opperation hours of a hotel or temple, which we have always had to do before. The TT Pachimen/Pachi Tanglang school of Taipei is located in the center of the city of Taiåei. So this made everything very easy. Some days we hade some practice in the morning, then did a bit of shopping or sightseeing, and then some more practice in the afternoon. I remeber on day we spent 2 hours consentrating on only 1 of the Chin Kong lines. Another time, thanks to the bullet train that runs between Taipei and Kaoshiung, a trip that used to take around 5 hours, we were able to visit some friends and relatives of master Su. During other international seminars there was always alot of people to consider and therefore the layout of the seminars was much more tied to a time table. There was also more subjects to be learned. Having now participated in two of these study groups trips, as I like to call them, I highly recomend it to all students of Pachi Tanglang.